Abstract: Acute abdomen in pregnancy represents a unique diagnostic and therapeutic challenge. Acute abdominal pain in pregnancy can occur due to obstetric factors as well for reasons that are unrelated to pregnancy. The diagnostic approach of acute abdomen during pregnancy can be tricky owing to the altered clinical presentations brought about by the anatomical and physiological changes of gestation along with the reluctance to use certain radiological investigations for fear of harming the fetus. Delay in diagnosis and treatment can lead to adverse outcomes for both the mother and fetus. 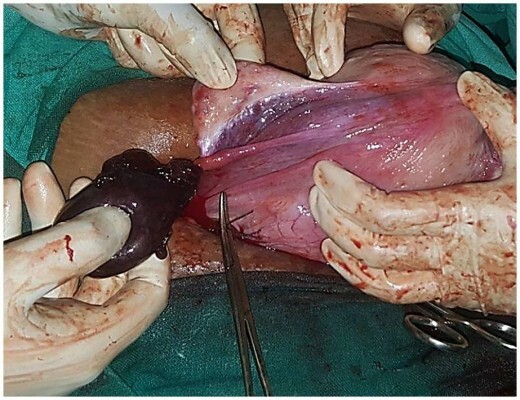 In this article, we attempt to review and discuss the various etiologies, the current concepts of diagnosis, and treatment, with a view to developing a strategy for timely diagnosis and management of pregnant women presenting with acute abdominal pain.